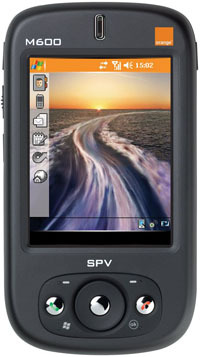 SPV M600 from Orange is the best Windows Mobile smart phone with PDA functionality, according to Reg Hardware. It gives the PDA phone a rating of 90% with comment of “an affordable, fully featured Windows Mobile smart phone that should have a wide appeal”. The Orange SPV M600 is an affordable, fully featured Windows Mobile 5 smart phone at a bargain price. It lacks 3G support, but with EDGE you still get fairly decent download speeds and, if you need faster access,the built-in Wi-Fi support gives you the option to access hotspots and other wireless internet links.